Alain Ngombe Babillon is the winner of a call for projects launched in Cameroon, awarded for his short film "Le Garçon des nuages". 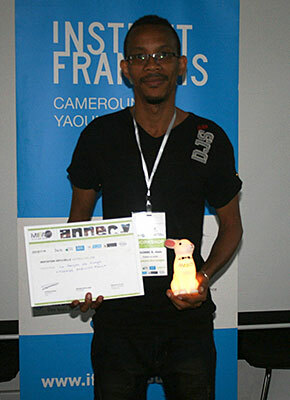 As part of Animation du Monde, the Annecy International Animation Film Market launched a call for projects in Cameroon. The creators of the projects took part in a three-day workshop in Yaoundé with the film director Clémentine Robach, Laïdak Films producer Ivan Zuber, and Géraldine Baché, Head of Education & Projects Mifa. After the presentation of the projects, Alain Ngombe Babillon was chosen as the winner for his short film Le Garçon des nuages. Congratulations to Alain Ngombe Babillon, who will present his project in Annecy at the Animation du Monde Pitch sessions taking place at Mifa in June.